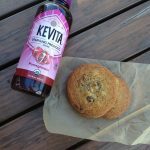 Introducing Intuitive Eating Support Groups! I am ridiculously excited today. 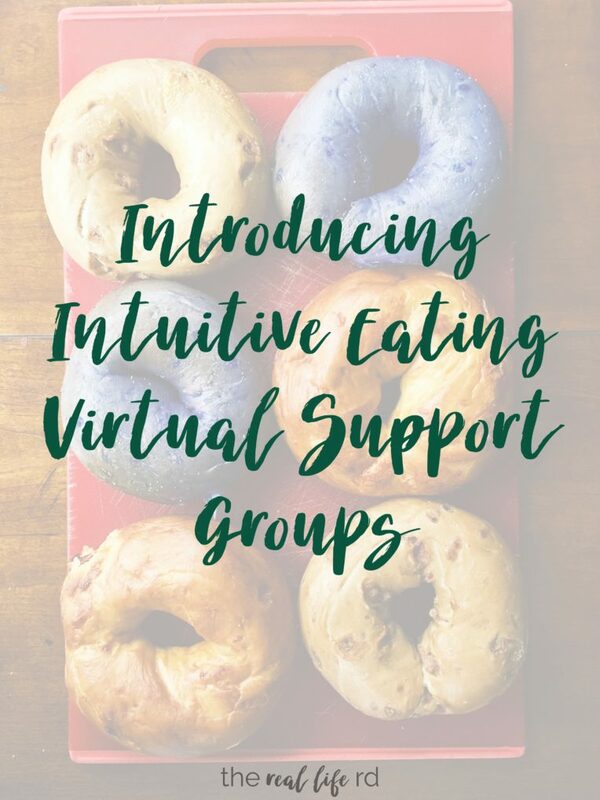 Because I’ve been wanting to offer support groups for women working through disordered eating and towards intuitive eating (and perhaps one day we will offer local support groups for women in ED recovery) for SO LONG. I also knew a therapist would really be the best fit for this. RDs hold these groups too and are amazing, but having a therapist lead the group really resonated with me. Then Liz’s world collided with mine and this dream has come to fruition! Liz is going to share more about the power of a supportive community in feeling genuinely seen, heard and deeply understood. And and then scroll to the bottom for more details! Group support is one of my favorite things I get to do as a therapist and coach. 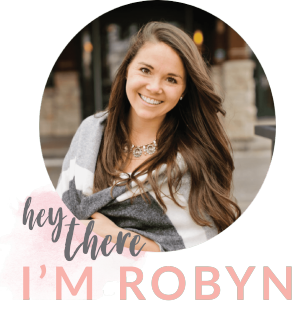 So when Robyn and I began collaborating and brainstorming ways to help more women, I was thrilled when both our brains aligned around the idea of offering a women’s Intuitive Eating group. This world is big and crazy and lonely at times – especially in a journey towards peace with food and your body. 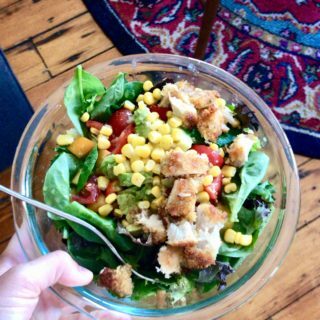 We all are swimming in diet culture until we decide swim out of it, so unfortunately, it’s quite common for it to feel like you’re swimming against the current in your healing journey. 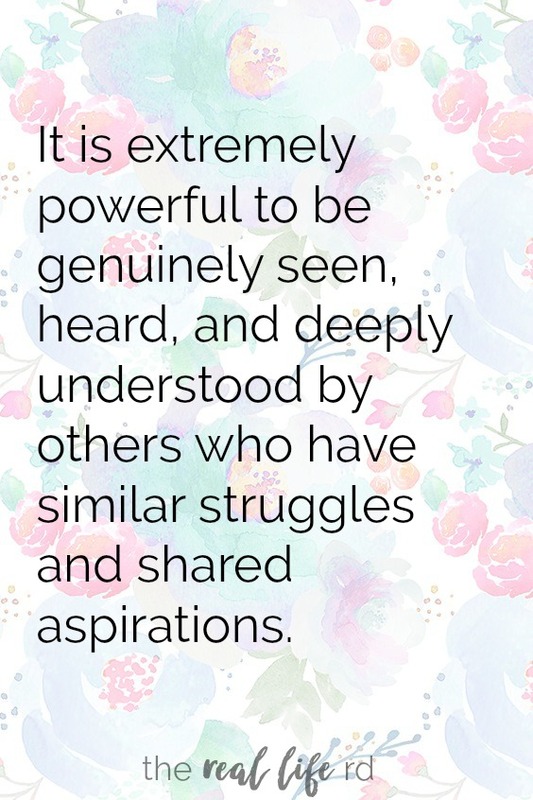 I am always in awe of how powerful it is to be genuinely seen, heard, and deeply understood by others who have similar struggles and shared aspirations. The realizations and changes that occur for us often happen quickly and naturally in a group setting as we experience a sense of connection we may not currently have in our lives. It also offers a variety of perspectives that support us in seeing things differently. 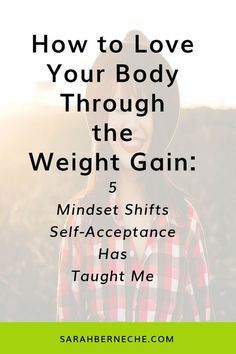 Many of us living in this diet-obsessed, thin-obsessed culture have attempted to form a sense of community and a sense of belonging by joining gyms, talking with our friends about our new diets, or pronouncing how much we hate or dislike our bodies. It feels burdening and sad that this is how many women try to connect with one another. At the same time, I completely understand. 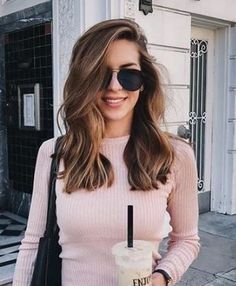 We are all living in a world in which women are constantly told that our worth and value is based on our appearance and an arbitrary current standard of beauty. It affects all of us, so of course we are going to commiserate about it – it’s shoved in our face everywhere we turn! However, once we start exploring and learning more about Health At Every Size and Intuitive Eating it can then feel uncomfortable when we hear other women talking this way. 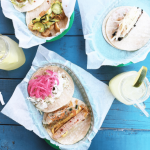 Or maybe we feel like we’re doing something wrong when others bring up their newest diet or “working out to get ready for summer.” We start wondering, is Intuitive Eating the right path for me? Does this actually work?? This is why it is so imperative that we surround ourselves with a new community who shares our values of truly listening to and nourishing our bodies, not focusing all of our energy on changing them. It is extremely hard to go at this anti-diet and body acceptance way of living without support. As human beings we are wired to crave a sense of community and have a strong desire to be accepted by others. Evolutionarily speaking, we lived in tribes that kept us safe and fed. And the truth is we still need a tribe and a community! Having a tribe of women who also want to care for themselves, nourish their bodies and live a meaningful life as opposed to pursuing success, achievement and worth through their body size is how we can continue to be safe and fed in this culture. 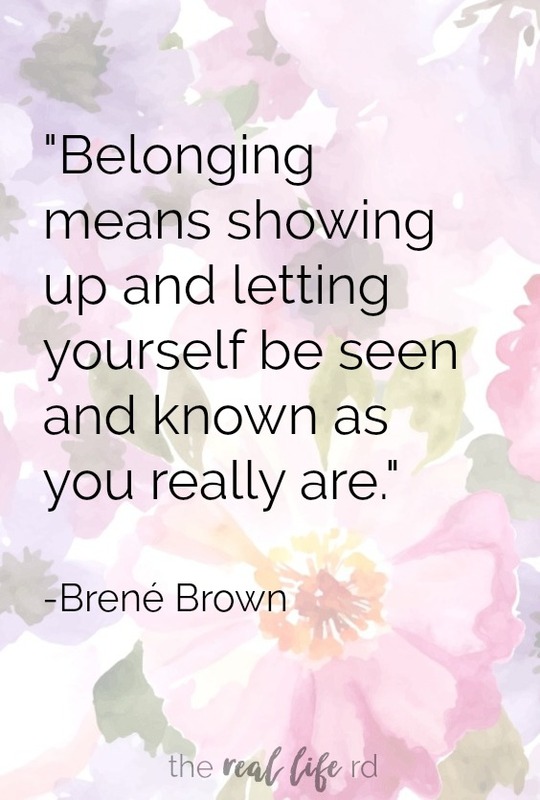 The brilliant, Brene Brown, talks a lot about the difference between fitting in and belonging . Very simply put, fitting in is when we attempt to be like others to gain approval. As Brene says “twisting yourself into a human pretzel in order to get them to let you hang out with them.” Belonging, however, is something different, Brene defines it as “showing up and letting yourself be seen and known as you really are.” The thing is, all any of us wants is to belong and be accepted for who we truly are. We can never gain true belonging if we are just trying to fit in, as we don’t even give others the opportunity to see us. So even if “they let me hang out with them” it doesn’t really fulfill us, as we are not sure they would really accept our authentic selves, we only know we’re allowed “in” if we put on a façade. 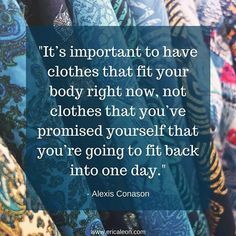 The idea of fitting in is so much of what is reinforced in diet culture, we are told we need to be a certain size or look a certain way to be loved and accepted. 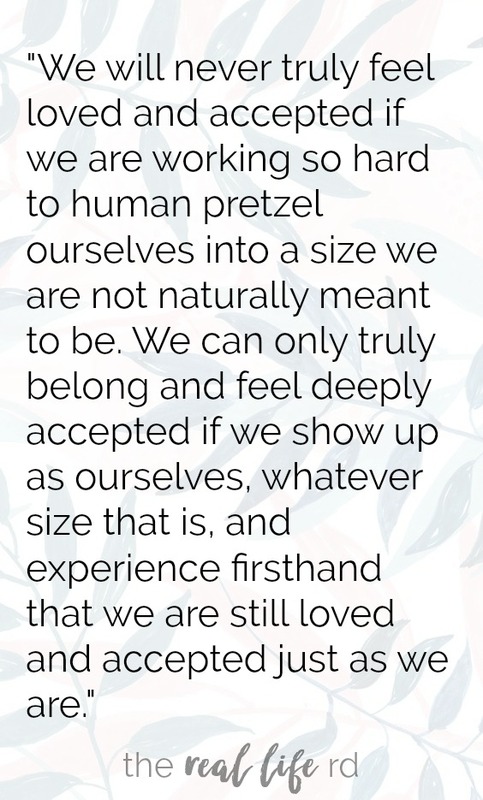 However, we will never truly feel loved and accepted if we are working so hard to “human pretzel” ourselves into a size we are not naturally meant to be. We can only truly belong and feel deeply accepted if we show up as ourselves, whatever size that is, and experience firsthand that we are still loved and “allowed to hang out” just as we are. 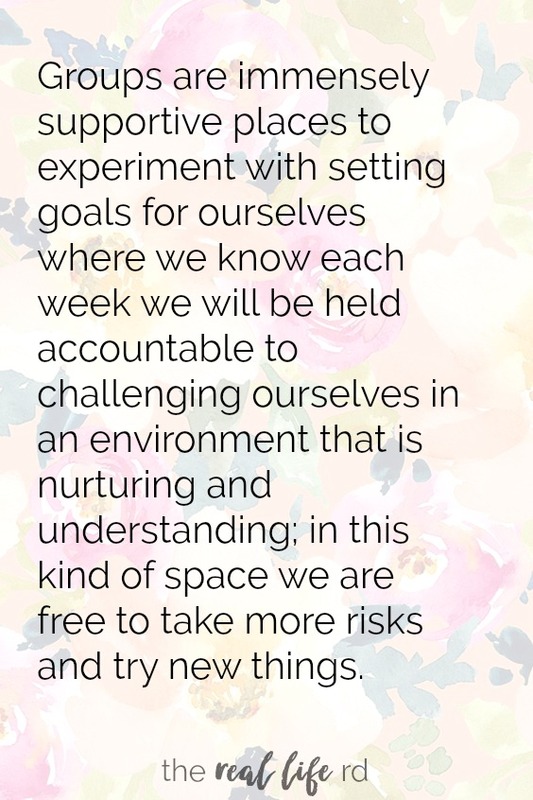 This is one of the main reasons group support is so helpful, it allows for a safe space in which we can really show up as ourselves, struggles and flaws and all, and see that we are accepted and not “the only one in the whole world who’s had these crazy thoughts.” Groups are immensely supportive places to experiment with setting goals for ourselves where we know each week we will be held accountable to challenging ourselves in an environment that is nurturing and understanding; in this kind of space we are free to take more risks and try new things. That’s refreshing! When I participated in a Mindful Eating Support Group many years ago I grew exponentially in my journey with being deeply present to myself, my emotions, my body, as well as my needs and desires. Knowing that I was not alone in my struggle and that others were rooting for me to live my fullest life as I began practicing new skills completely kickstarted my healing journey. Since then I have loved facilitating groups professionally and truly believe that it is one of the most effective tools for change and growth. Are you feeling isolated and alone in your Intuitive Eating Journey? Do you want to meet other women who are also on the Intuitive Eating Journey and form a community? Have you tried Intuitive Eating in your life but want more tangible skills to really implement the principles in your life? Do you want to focus your energy on nurturing yourself as opposed to trying to manipulate your body and set goals aligned with this? If you answered yes to any of these questions, I encourage you to check out the Women’s Intuitive Eating Group that will be starting on May 15th. I have been running a Women’s Intuitive Eating Group in my practice in San Diego for a while now and not only have had the privilege to see them grow in incredible way, but these brave women have taught me so much about myself. 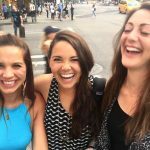 During the final wrap up of the most recent group, one of the group members stated that her biggest take away was, “learning to intentionally choose connection over control.” And this is why group support is something I feel so passionately about, it really creates a space for our deepest desires of connection and belonging to be honored and fulfilled. I am so excited and hopeful in offering this space online to women across the country! Here are some quick details if you’re interested! The group is 10 weeks coaching group that will meet on Tuesdays at 4pm PST/7pm EST on a HIPAA compliant video platform. The group is limited to a handful of spots in order to foster an intimate, committed and effective environment. The group is open to ANYONE who does not have an active eating disorder and is medically stable. We have tried to keep this as affordable as possible, you can read about the cost of the group here! To sign up email [email protected] and we will get you all squared away! There are a very limited number of spots and it’s a first come, first serve so if this resonates with you – don’t hesitate to email us. Also, please keep in mind that this is a coaching group and does not constitute or take the place of therapy or other behavioral health treatment. 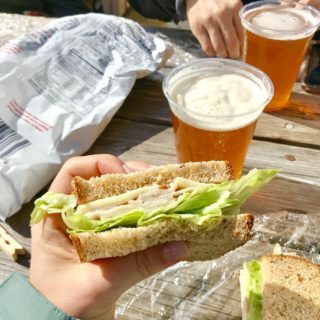 Eating When You’re Not Hungry is Okay…and Healthy. There is a Medifast ad on your site directly below a banner about intuitive eating. Seems pretty counterproductive to your message. hey there – can you right click the ad and email me the URL. Together with my ad company we are working hard to block all these ads that sneek in so your help would be appreciated! I’ll keep an eye out but I’m not seeing it right now. I think a support group is a great idea! Intuitive eating is a long journey that needs to be shared. Totally agree Alexis! We are excited! Wow this would be tremendous. 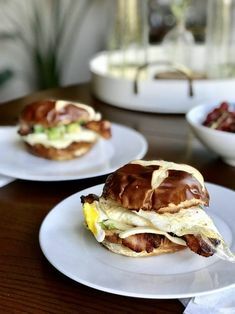 I don’t have the funds right now, but I SOOO agree that having a group of women that will understand, empathize, encourage, challenge you, and support each other on the recovery/HAES/food freedom journey is essential. Love that you’re starting this. Know that we will hopefully always have them going if the time is her right Emily 🙂 In the meantime I hope you continue to enjoy the community here in this space! This popped up in my life at the perfect time. 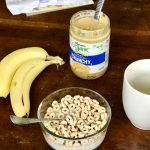 I’ve been practicing intuitive eating now for around six months to a year, and it can definitely feel isolating and discouraging when hearing friends and family talk to me about diets and losing weight. Quick question- I currently am living out of the US and it would be about 1 AM when the coaching group will meet. I’m assuming it’s live and we have to be there then, correct? I can always stay up and sleep in once a week! My schedule is flexible. Thanks again for creating this support group!